Don’t misunderstand me. Leadership is important; however, it is the means, not the end. I’ve read about and studied Leadership for while now and much of the time this fact is overlooked. The goal is lasting, meaningful, necessary, challenging improvement – aka change. Leadership is a necessary but not sufficient component of a transformation initiative. It’s time to turn off the background choir and fuzzy glow every time the word is mentioned. The fact remains: In order to change their attitudes and behaviors in a cohesive manner, people need someone whom they trust to show them the way, motivate them, and eliminate barriers. The person who steps up to do so is a leader, whether he or she is an executive, a department manager, or simply someone who believes a change is warranted and takes action. It’s a tall order, and one that is both voluntary and earned. No one will argue that Leadership is not imperative to implement change. At the same time, Leadership is not the only necessary component required to transform an organization. The tools for transformation are found in “show the way,” “motivate,” and “eliminate barriers.” These are the vision statements and strategies, the communications plans, the incentives and the management systems. These are all necessary pieces of organizational change that need to be executed well to achieve results. 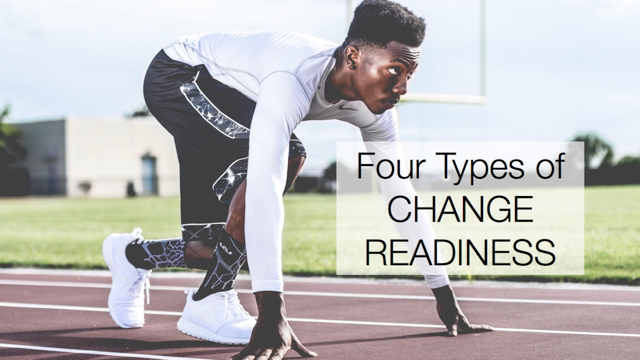 Without these, your change initiative will fall flat. The Leadership component in the statement above is “trust.” When we consider whether to follow someone, he receives a higher level of scrutiny on the trust factor. Is he credible? Is she consistent? Does this person respect my ideas? Does he know what he’s doing? Can I believe what she says? With such high standards, it is easy to see how Leadership creates heroes and villains. Placed on such a pedestal, Leadership turns into a theoretical concept whose attainability is out of reach. Personally, I hold the belief that if you have noble intentions and have the courage to step forward to make a difference, with a lot of effort and a little guidance, and using all the tools at your disposal, you can make it happen. My aim is to equip people like yourself to lead organizational change. So, when you work with Enclaria, you will definitely spend time working on leadership issues – things like style, vision, communication, influence, integrity. Since leadership is only one of the many tools that we can use to achieve lasting transformation, the name of my business is now Enclaria, LLC.